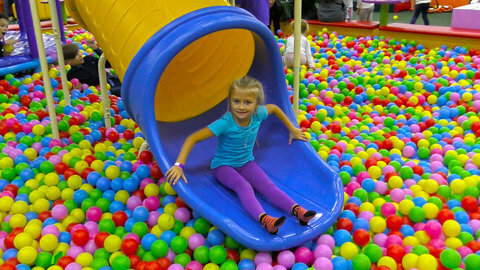 Yasya has a lot of fun while jumping in the sponge pit for kids as you can see from this vlog for kids. She enjoys jumping into the soft sponges on the pit, jumping into colorful balls, driving a toy car and going up the climbing wall. She does all these while nursery rhymes like Five Little Monkeys and I’m A Little Bunny play in the background. Get to see her enjoying other playgrounds too by visiting SeeZisKids.com.